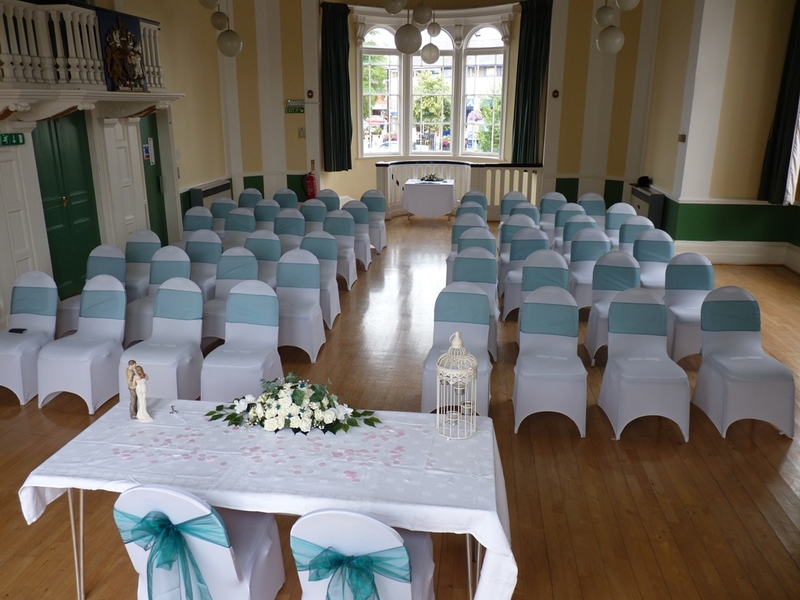 The Greyhound Hotel is delighted to be working in partnership with Lutterworth Town Hall to provide a complete Wedding Package including the Civil Ceremony. Lutterworth Town Hall is situated across the road from the hotel and is the only venue in the Lutterworth area licensed for civil ceremonies. A Grade II listed building dating back to 1836, the Town Hall was originally built to provide a community meeting place for the people of Lutterworth. The Hansom Room on the upper floor is a light and open room providing the ideal venue for you and your guests. Up to 100 guests can be comfortably accommodated. There is also a smaller room on the ground floor, the Denbigh, which is used for meeting with the Registrar. Our Wedding Co-ordinator will be happy to meet with you to discuss all your venue requirements. The Hansom Room can be decorated as you wish and co-ordinated with the decoration of your reception at The Greyhound.